Gifting for Mom can be tricky. You want to show her love with something beautiful, but you might not be sure what to get her. A sophisticated scent to pair with her equally sophisticated style? A lippie in a poppy hue to appeal to her daring side? A skin care goodie for #selfcaresunday? The sky is the limit. Show her how amazing she is with our tailored picks for every mom (and mom-like figure!) in your life. From the selfless matron saint to the woman who wouldn’t walk you to school without putting on her face first, there’s a great gift for everyone. This selfless mom-figure drove you to all your gymnastic matches, kissed your bruises and was always available as a sounding board. She’s a natural provider, and she takes pride in caring for her family. Now it’s time to encourage her to put herself first with one (or all!) of these luxe selections. This limited-edition nail kit packs all the essentials to revive her hardworking hands as she indulges in her favourite true crime show: nail file, nail hardener, base coat, gel top coat, restorative nail cream, instant smudge fix, nourishing cuticle oil. To help get her workout routine back on track, how about a few gym-bag goodies? These pH-friendly towelettes refresh and soften skin when she doesn’t have time to shower, while the sheer lip and cheek tint boosts a natural flush with one universally flattering shade. As the name suggests, this musky, woody floral will bring a moment of Zen to her busy day with calming clary sage essence and white tea extract. A clean, fresh scent sure to make her go ahhhh. She’s the working mom who always managed to balance a fierce career with making sure you got to school on time. A pro multi-tasker, she has a deep appreciation for beauty innovations that help her look fabulous with minimal time and effort. Like a multitude of tiny fingers that slough dead skin cells to reveal brighter skin with every wash, this mini version of the classic cleansing device can be stashed on her #topshelf or stowed in a purse or gym bag for lovelies who are constantly on-the-go. Fully chargeable, no batteries required! Give your number one #boss the gift of self care with this cooling gel mask; a single sheet boasts highly concentrated probiotic extracts equivalent to one small bottle of the award-winning Génifique serum. She’ll love the instant plumping, radiant effect. 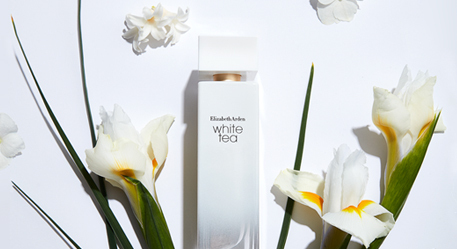 This sensual blackberry-centric scent is a new spin on the classic floral. A unique structure means its Bulgarian rose and patchouli notes last all day (and night) long. Bonus: A limited-edition gift set comes with a designer makeup pouch. Feminine and somewhat stately, this Mom-type never, ever leaves the house without her face on, and she’s the driving force behind every school committee she chairs. These stunning lippies celebrate springtime in Paris with blooming tints of red, blush and tangerine. Sold separately, three-limited edition, beautifully decorated paper cases will prettify her purse. This richly nourishing mask will appeal to her love of luxury. Wild mango softens and soothes in a balm-like texture, leaving dry skin feeling plumper and more radiant. Count on her to go in for a classic. This big floral fragrance has stood the test of time with its explosive heart of sambac jasmine and centifolia rose, while its oriental base of musk and patchouli release a seductively powdery dry-down.